If you don’t already know, the USPS raised its rates once again on January 22, 2012. The price for a one ounce letter has gone up to 45 cents. If you have a postage scale, please make sure you contact us to upgrade your FP Mailing Solutions scale so it will have the most up-to-date rates. Once you receive your rate chip or card, you can install it yourself or one of our factory trained technicians can install it for you. You’ll be up and running with your new rates right away. You can also go through the hassle of looking them up online, one letter or package at a time. Who wants to do that? You have better things to do, your time is precious. The Copystar CS 4500i takes flexibility and performance to new heights. Designed specifically with the customer in mind, the CS 4500i incorporates high productivity and flexible configurations with exceptional imaging and advanced finishing to easily handle both your day-to-day document needs as well as more complex projects with ease. Superior imaging technology enables you to create finished pieces with professional polish, while integrated business applications provide the added power and capabilities to help your business simplify its document workflow. Copystar’s award-winning ultra-reliability and unique long-life technology ensure the superior performance and proven productivity your busy enterprise requires to keep it up and running at maximum efficiency. When it comes to document imaging innovation and quality you can count on, the CS 4500i delivers. The CS 4500i Black and White MFP…document imaging innovation for your office. Kyocera Mita America’s SMARTtech(Simple Management and Replacement Technology) MFPs offer ease of operability and management for members of any organization. 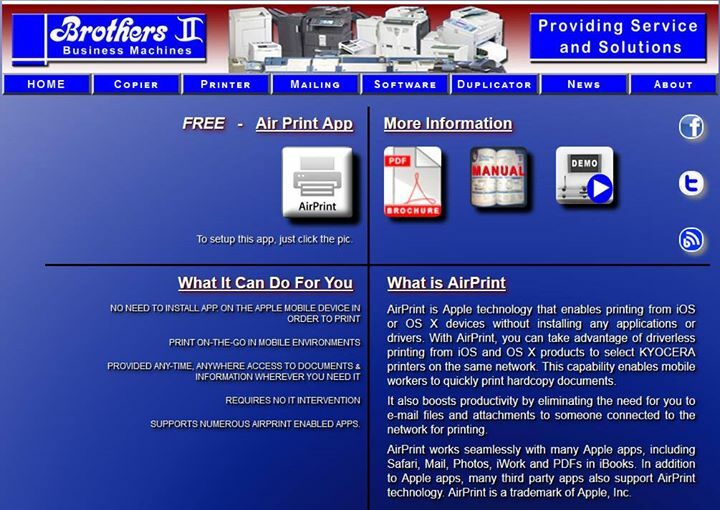 These MFPs are designed with the cost conscious customer in mind providing high quality and high reliability color and B/W document management at a low cost with minimal downtime for servicing.